NASA’s Mars InSight mission is moving along at a rapid pace. After landing on the planet just a few weeks ago, InSight has spent its days observing its new living space and sending back photos of the ground surrounding it. 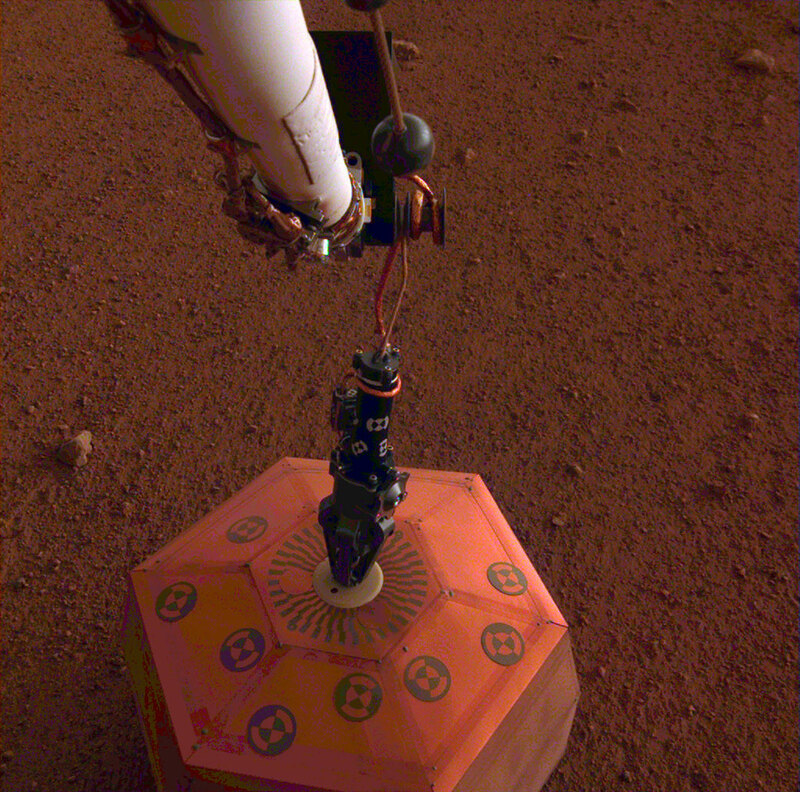 NASA’s InSight team has been practicing the tricky task of placing the robot’s sensitive instruments on the surface. Now, with a couple of years of observation and data gathering ahead of it, the bot has successfully deployed the first of its sensor suite, and NASA is very happy with how well things are progressing. There were many factors at work in determining the timetable between landing and instrument deployment, and NASA is the first to admit that it got mighty lucky with InSight’s landing site. One major concern was that rocks or uneven ground would hamper instrument placement, requiring extensive planning before the sensors could be placed on the planet. However, NASA’s chosen landing site ended up being even more perfect than the InSight team could have hoped. The ground was virtually free of anything larger than a pebble and the robot’s handlers have plenty of space to work with, allowing things to move on faster than initially planned.